Centre-back Rice has impressed in the Hammers midfield since being deployed in the role following the arrival of Pellegrini at the London Stadium. Rice has already featured 11 times for West Ham in all competitions this season and Pellegrini believes the 19-year-old has all the attributes to become a top player. "I think Declan has a lot of potential to arrive at the level that he wants and, after that, you have to see the development of his career," the West Ham manager said ahead of Saturday's trip to Huddersfield in the Premier League. Lukasz Fabianski says West Ham can start to look at climbing the table after recovering from a poor start to the season. "He is learning a lot of things very fast, he is improving his performances in every game and I hope he can become a top player in the years to come. He must continue learning as he has a lot of potential. "Declan is always listening to what he must improve and if you compare the first game of the season against Liverpool to now, I think he has improved in every game a little bit more." 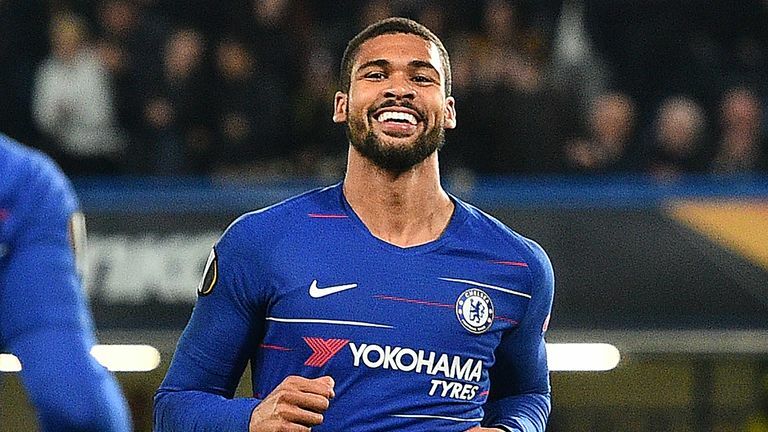 Manuel Pellegrini says he is not thinking about a move for Ruben Loftus-Cheek yet and has his say on the Manchester derby. Diangana produced a superb performance in West Ham's 4-2 victory over Burnley last Saturday, with the winger playing a major role in two goals in only his second Premier League start. When asked whether he was surprised by the impact of the 20-year-old, Pellegrini said: "I wouldn't say surprised as I always see him working on a daily basis. "But what is important for a young player, like Grady, is that he must have the personality to do exactly the same thing that he does every day here. "He did and in every game, same as Declan, he has improved a little bit more. Now for all young players, you have the next step, which is the most important thing. "At the beginning, everyone appreciates everything he does because he is a young player. But, after that, he must grow another step and continue making the difference in every game he plays."